The 2015 Marquee Film Festival has a full day of free programming slated for Saturday, from noon till midnight, in the Union South Marquee Theater, 1208 W. Dayton St. Visit wudfilm.com for more details. Saturday’s lineup seems to emphasize world cinema, with new films from Austria, Brazil, Mexico and France. Leah Meyerdoff talk (noon) — The writer-director of “I Believe In Unicorns,” which screened Friday night, will give a bonus lunchtime talk about her film and her work with Film Fatales, a group that supports and develops female filmmakers. “Gueros” (2 p.m.) — Two college students in Mexico City travel across the metropolis to chase rumors that a cult favorite singer-songwriter is laid up in a local hospital. 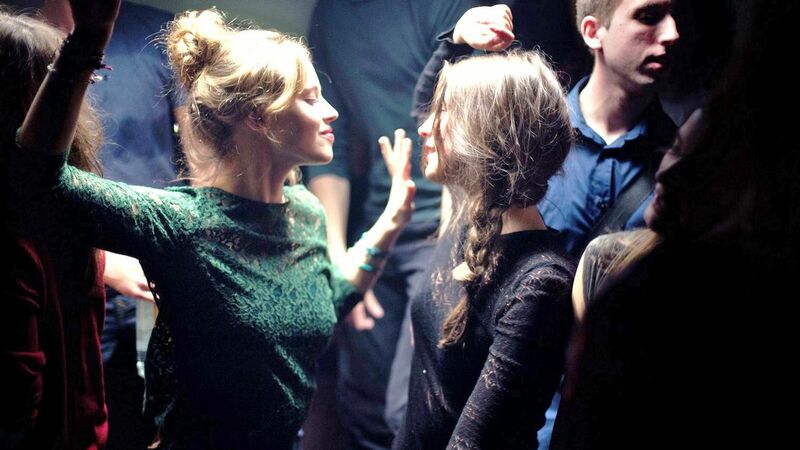 “Breathe” (4:30 p.m.) — Actress Melanie Laurent (“Inglourious Basterds”) goes behind the camera to tell this emotionally nuanced and visually rapturous tale of a friendship between two French teenage girls that starts to go awry. Charlie (Josephine Japy) is a good student, a little shy, who befriends the more outgoing and worldly new girl Sarah (Lou de Laage). At first, the pair are inseparable, with Charlie in thrall to Sarah’s more free-spirited (borderline careless) ways. But Laurent shows the subtle power struggle going on beneath the hugs and kisses, and the relationship veers from manipulative to toxic. There are moments where “Breathe” could approach “Poison Ivy”-style thriller, but the film is more unsettling because Laurent always reins it in, always keeps us guessing as to Sarah’s motives and Charlie’s emotions. It’s that emphasis on nuance, and the wondeful, combustible chemistry between the two lead actresses, that makes “Breathe” such a compelling film. I was not completely sold on the resolution to this drama, but I understood how it got there. “The Second Mother” (6:30 p.m.) — Comic complications arise in this Brazilian film when the biological daughter of a live-in nanny comes to live with her mother and her charges. “Turbo Kid” (9 p.m.) — In this Canadian-New Zealand sendup of cheesy ’80s post-apocalyptic action movies, a brave youngster must rid the wasteland of a sadistic leader. Much mayhem ensues. “Goodnight Mommy” (11:30 p.m.) — My full review is here. In this heart-stopping Austrian horror film, a pair of creepy twin boys try to determine why their mother, whose face is bandaged, seems to be acting so strangely. “Mommy” avoids the usual tropes of horror films — there’s little music, and it takes place mostly in bright sunlight — to build up an atmosphere of austere dread. ← “Labyrinth of Lies”: What did you do in the war, Vater?